Learn how to play Let Her Go by Passenger, on the guitar. This free guitar lesson uses a variety of open chords and can be seen as using chords from the ‘C family’ with the capo placed at the 7th fret. The fingerpicking intro is relatively difficult, but when broken down four notes at a time, you will learn it with a bit of persistence. 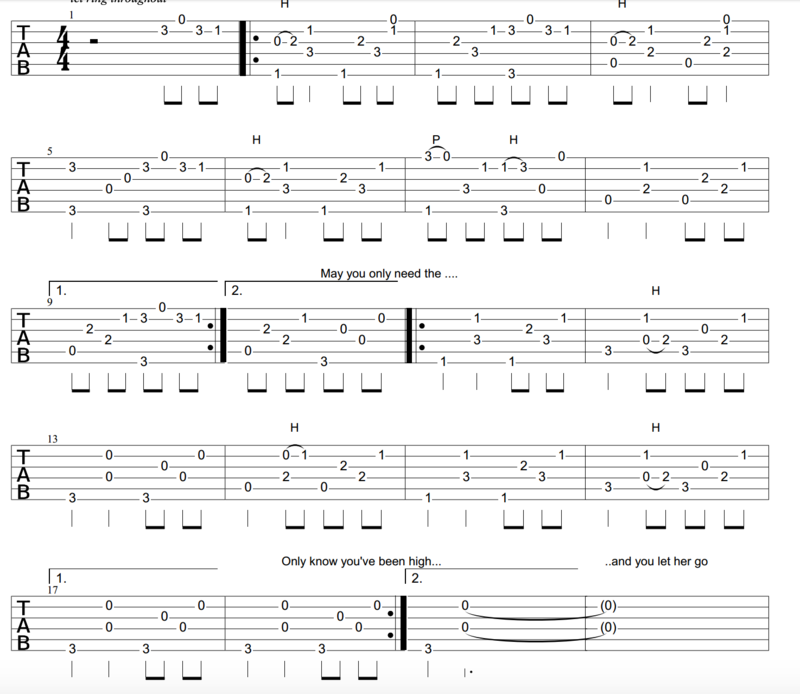 Click on the TAB below for a clearer image of the fingerpicking pattern for ‘Let Her Go’ by Passenger before learning the chords for the rest of the song, shown further down the page. Having trouble with the chord shapes? Check out my ebook. If you have enjoyed this guitar lesson you may be interested in learning some of the other popular songs here at Your Guitar Tutor. Why not try Ed Sheeran ‘Give Me Love‘, ‘Impossible‘ by James Arthur or ‘Love is Blindness‘ by Jack White.